10 Easy To Follow Health Tips For How To Lose Weight! Are you looking for How to lose weight? Be careful in the pursuit of FAST, you may be left behind with FATS! Although I just scrambled fast for you, opting for faulty weight loss diets and tips can indeed leave you with just fats. How to lose weight fast could be your priority, however, you shouldn’t lose it at the stake of your health. It is not impossible to shed pounds fast without going for extreme diets or starvation. Don’t believe us? We have compiled here a list of 10 healthy and easily manageable ways to lose weight fast. Try them and thank us later. 10 Best Ways to Lose Weight Quick! 1. Drink enough water to lose weight! The underrated water features on top of our weight loss must-do list. Although everyone talks about a healthy diet, a diet is truly healthy when you consume enough water. Follow this simple rule, whenever you feel hungry, drink water. Sometimes thirst can be disguised as hunger too. The temperature of the water can also help to lose weight. When you feel like drinking colas, opt for a glass of cold water. Drinking hot water throughout the day helps eliminate toxins and keeps weight gain at bay. Drink water when hungry, drink water before major meals, choose a glass of cold water when you are craving for colas, fruit juice etc. Keep drinking hot water throughout the day! Add a dash of lime / add chopped cucumbers, mint, watermelon wedge in your water/ add a wedge of orange/ make a berry laced water with strawberry. 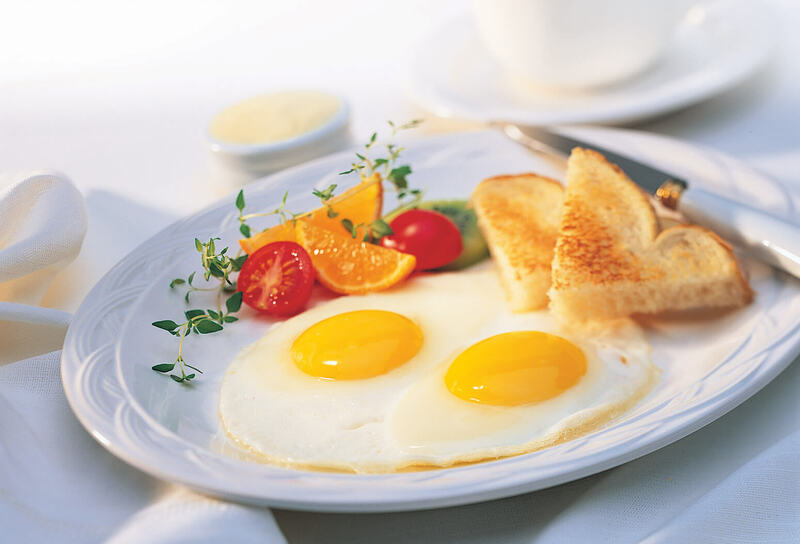 This could be a cliche but eating a heavy breakfast helps you in losing weight fast. Eating a heavy meal at the start of the day can prevent overeating as the day progresses and thus greatly helps to lose weight. What happens next, it slows down our systems. So when you wolf down lunch, all that is getting stored as fat. So much for your weight loss! Hence, even if you are not hungry early in the morning, reach out for a glass of oats or scrambled egg, smoothies or even the night’s leftovers are a good bet. At least grab a glass of oats in milk; scrambled egg with a toast; fruit smoothies; or the night’s leftover as breakfast. Breakfast Recipe: Chola Dal Pancake! Breakfast 101; set the stage for good health. 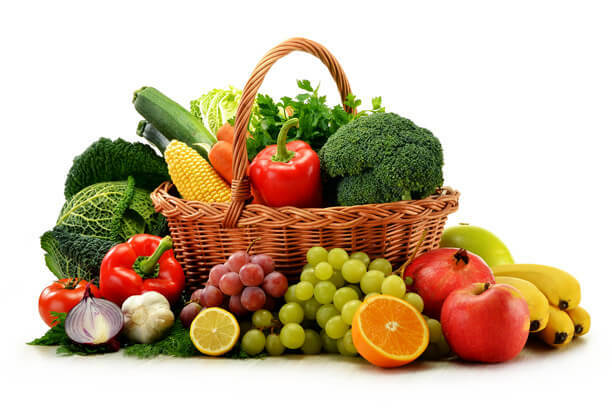 The World Health Organisation and Food and Agriculture of the United Nation recommend consuming at least 5 servings of fruits and vegetables is a must. Another way to look at it is to consume 2 ½ cups of vegetables and fruits in a day. If you stick to it, you will realise you hardly have the appetite for anything else. Filling up on fibrous veggies like cabbage, broccoli, beets can ward off hunger whereas killing off a sweet tooth with fruits is a good way to avoid desserts. Either consume 5 servings of fruits and veggies/day or 2 ½ cups of them a day. Fibrous veggies like cabbage, broccoli, beets are much better. Feel like having sweets, consume a cut fruit. So you have a sweet tooth, is it? Before you reach out for the fried ones dipped in sugar syrup, stop! Count to 10 and walk away. Instead, go over to the fruit counter and chop yourself a ripe juicy piece of fruit! However, be cautious in the amounts. After all, even fruits have sugar and eating a fruit after a meal can spike your blood sugars up too. So for the occasional indulgence, choose fruit. Walk away from fried and sweet desserts. Instead, chop a juicy fruit and devour it. It should read such on a sugar-free product package: Sugar-free but loaded-with-health-issues. Do not believe us, read up the scary facts here. Not just that, ditch fizzy gassy drinks too if you want to lose weight fast. Contrary to what they promise, these foods zap your energy in no time. 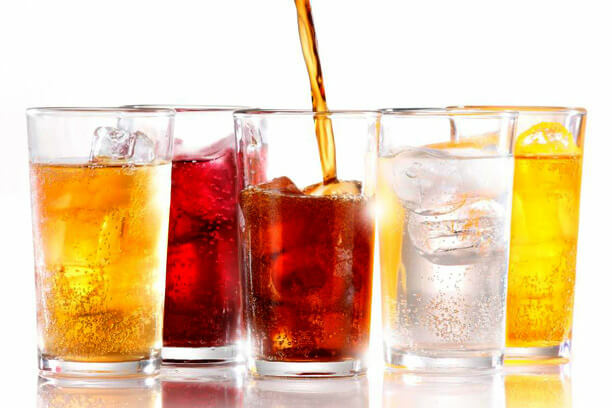 Artificially sweetened drinks pack in chemicals; fizzy gassy drinks are energy drainers. Choose water; cold milk /coffee, or a chilled watermelon wedge instead. Facebook updates or even an interesting snap!You can alternatively do the following: after taking the first serving set a timer for 15 minutes. Switch off the TV and the internet. Chew the food slowly. Set a 15-minute timer after you have taken the first serving. If you are done before, ask if you are really hungry enough for seconds. Time crunch, laziness keeping you away from exercises to lose weight? Time to do the high-intensity interval training (HIIT), sometimes also referred as accumulator workout. It is high in intensity for short periods and burns maximum calories. These are some of the other exercises you could do for weight loss and you can also mix it up with this accumulator workout video! Happy exercising. HIIT of the flab now! One of the easiest ways to lose weight! Definitely! Gone are the days that sleep is only for the lazies! Snooze for 8 hours regularly. 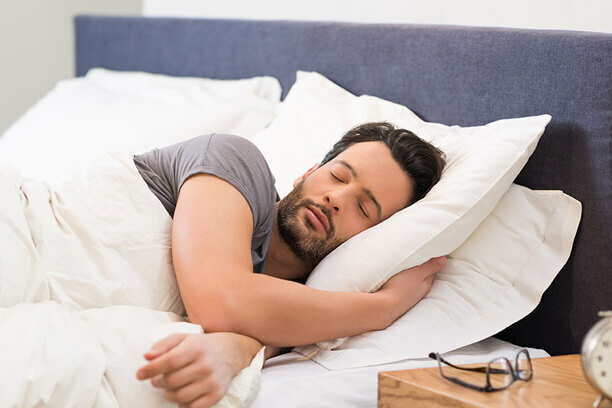 Did you know, people with messed up sleep routine or with little sleep have a major hormonal cocktail going on? We mean include more of fibre and protein into your diet in order to lose weight. Both of them help you feel full sooner by eating only a small portion. So go nuts on nuts, lean meat, whole grains, fruits and veggies with edible peels. Another tip is while choosing dals, do not opt for the split or polished variety. 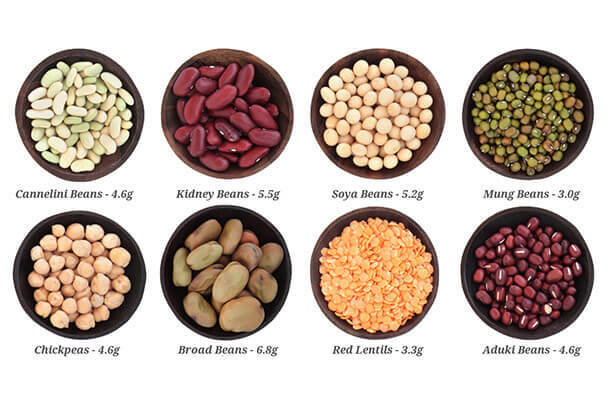 Opt for whole legumes that come with a non-attractive cover. That will also boost fibre intake! Nuts, lean meat, whole grains, fruits and veggies with edible peels, do not opt for the split or polished variety of dals: All good sources of fibre and protein. Let us tell you a simple equation, too much salt = water retention = not effective weight loss. 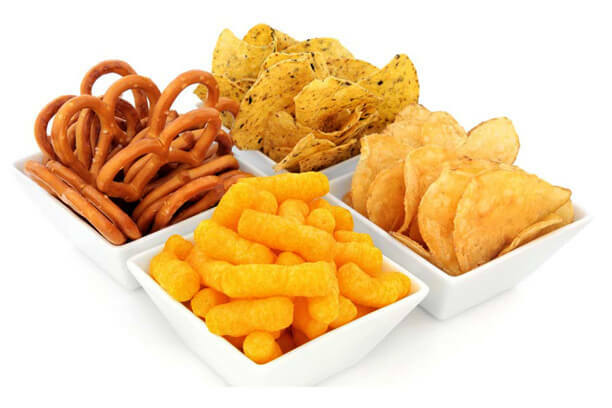 Also, most of the time, the snacks which are high in salt are most probably fried too, which is a total no-no if you want to lose weight. Veggie sticks or homemade crisps with salt and fat control work the best. Did you know detoxifying your body can even help you to lose 1-2 kgs? You can see that yourself by following Truweight’s detox phase to lose weight in 10 days! Book a free Nutritionist consultation here! Have a savoury craving, make the snack at home! Diets are not like clothes that you try them on for a while when in fashion and then ditch them. Diets or eating healthy is a way of life. Doesn’t mean you try on different exotic diets or ingredients. Try tweaking home cooked foods to ensure the foods help you lose weight. Alternatively, God has blessed us with superfoods which will aid you to lose weight. Here is a list of 9 superfoods which can be incorporated into the diet. So there you go, 10 super awesome and easy ways to weight loss fast! Try them on now! Ancient Whole Food Grains to Watch Out for Weight Loss!